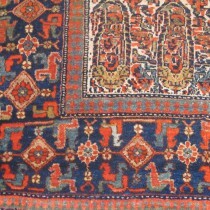 A garden of 'botehs' on an ivory field, framed by a pretty sapphire border. 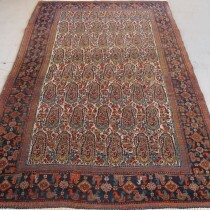 This rug has the typical solid Bidjar structure but the design has a subtlety which gives the rug a special quality. 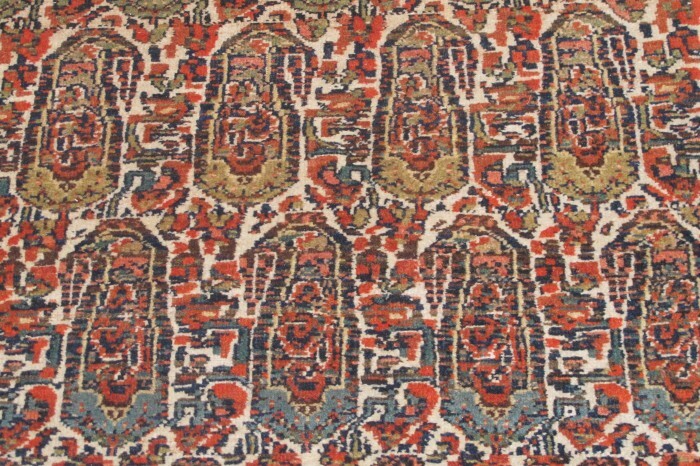 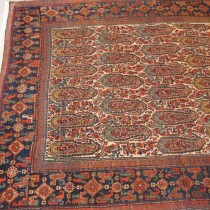 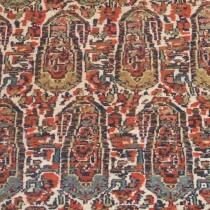 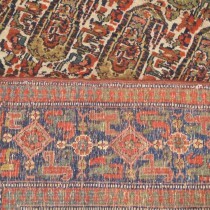 This is a very charming Persian village rug in excellent condition.